Modeling North American Economic Integration presents descriptions of the models and the central results obtained by four teams of economic modelers who analyze the impact of the North American Free Trade Agreement (NAFTA) on the economies of Canada, Mexico and the USA. Preliminary versions of these four modeling efforts were presented at a conference with the same title as the book, held in March 1991 at the Federal Reserve Bank of Minneapolis and sponsored by El Colegio de Mexico and the Institute for Empirical Macroeconomics. The book also includes a Foreword by Jaime Serra-Puche, the former Secretary of Trade and Industrial Development in Mexico and that country's chief negotiator of NAFTA, plus two essays by the editors. 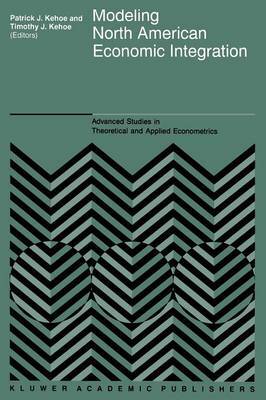 The first provides an overview and discussion of the results obtained by the modeling groups, and the second provides a critical survey of the sort of applied general equilibrium model employed by these groups. A final chapter discusses the results of the models in relation to the 1994-95 financial crisis in Mexico.